Sneaky Peak of PAX Booth! PAX visitors are joining the expedition to the world of Ashes of PAX by passing through the Divine Gateway! 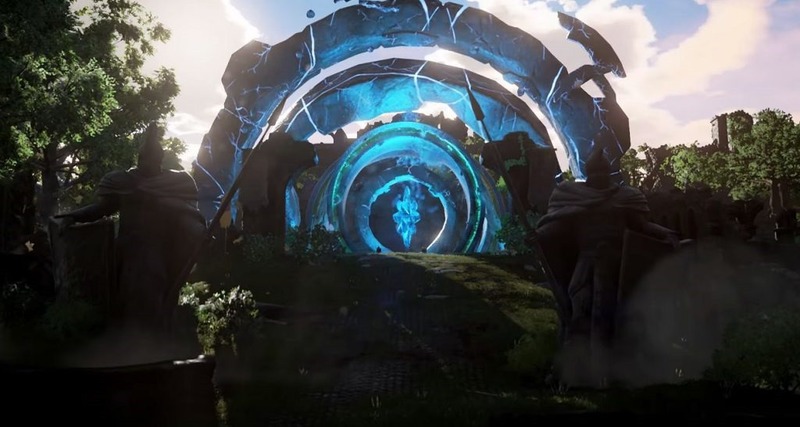 (The blue portal). We can see at the bottom right of the image the booth where visitors can meet and greet the Intrepid team! Just above that booth we can see the 8 monitors where visitors can participate in the 4v4 arenas which can be previewed in the latest stream! In the middle monitors are present (most likely showing the live stream of the events taking place and gameplay visitors are partaking in! We know there will be a PvE experience in which an Intrepid Studio staff member will walk you through and special PAX items and various merchandise will be for sale! Sign up to Ashes of Creation!